University Programs spent most of last week at the U.S. Coast Guard Innovation Expo 2010 in Tampa, FL. What a show - and how extraordinarily lucky we are as a service to have this annual event. I last attended in 2008, but was unable to make it down to Virginia Beach for the 2009 edition. More than just a Coast Guard family reunion, the expo is so valuable because it puts the best of what is going on in our extended Coast Guard family -- active duty, reserve, auxiliary, civilian, and our industry and community partners -- on the floor together sharing ideas and experience, and laying plans for the future. Personal connections across silos and operational communities that might otherwise have been lost in the chain of command, and partnerships that may have taken months or years to be forged, are made accessible by an expo that literally puts a big sign up. Find the people you need, and strike up a conversation. It's easy to find what you need when thousands, from cadets to the Commandant, are brought together for five days spent on expo floors, receptions, and during informal after hours moments. 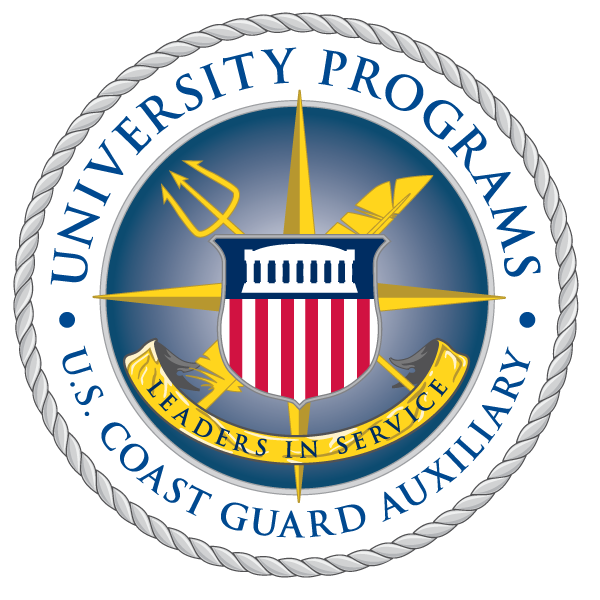 My presence in Tampa was, first and foremost, to represent USCG Auxiliary University Programs. The expo capped off a whirlwind three months for my branch, and for our students and instructors across the country. Starting with NACON in August, and continuing through the early fall with the launch of new detachments at California State University in Fullerton and Virginia Tech, we have worked with partners to roll out Communications and Seamanship as online courses for our students, we have announced internship rotations slated to begin Summer 2011, and we have watched in amazement as our graduates have ventured further afield and begun new assignments around the world. I am extraordinarily proud of what our students, instructors, and staff have accomplished. Carolyn Olsen, who manages our program's mission support functions, emphasized a number of efforts at the expo. We talked summer internship opportunities with commands around the country and across varying missions; we sought new leadership development, curriculum, public affairs, and recruiting opportunities for our students; and we made a point of getting to better know the faculty, staff, and students from the Coast Guard Academy that we all hope our college students, from their various campuses around the country, get to better know in the future. One such group of cadets, the Academy's "Sustainability Club," was on the expo floor showing off their good work (click the image here to watch their video). The Innovation Expo offers a great community moment for the Coast Guard as well. Having been held in cities with good Coast Guard affinity the last several years (Virginia Beach and Tampa), the expo is an opportunity for the host communities to better see what our service is all about, be it through conversations on the street, chance encounters at restaurants and shops, or through more iconic moments such as the Search and Rescue demonstration over the water outside the convention center. All together, our Innovation Expo is a sight to behold and a fine yearly diversion. It should be the envy of many others, and worth exploring for your organization, should there be any readers here from outside the Coast Guard. Make a point of attending in 2011. For another take on the expo, make sure that you visit the Coast Guard Compass blog's 2010 Innovation Expo: Diversity and sustainability post. This article was written by Andrew Welch, Chief of the University Programs Branch, and concurrently posted as "Innovation Expo is an extraordinary Coast Guard moment" on his blog and at CGBlog.org (an unofficial Coast Guard Blog).